In 1979, Ettore Sottsass donated over 14,000 project materials (sketches and drawings) and 24 sculptures to the CSAC. 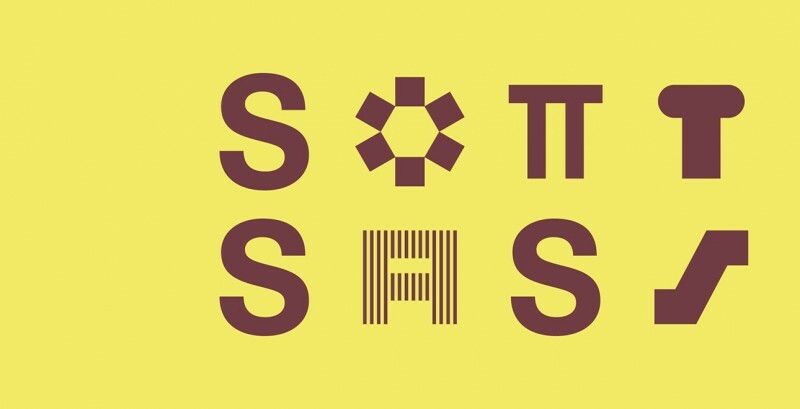 In the centennial of Sottsass’s birth, starting from this precious donation, CSAC has promoted an important exhibition and an editorial project with the patronage of the Municipality of Parma. The extensive and intense work of cataloging and digitizing the entire fund will be displayed in the catalog Ettore Sottsass. 1922-1978 (Silvana editoriale, 2017), published in occasion of the exhibition Ettore Sottsass. Beyond the design. The exhibition consists of approximately 700 pieces selected in the archive and set up according to a chronological narrative structure (starting from a childish design dated 1922), which reveals some visual and methodological constants of the author. The title of the exhibition refers to Sottsass’s own work practice, which overrides the specificity of his designer’s work towards a wider vision, in which the design has absolute centrality as a design tool but first and above all as a moment of reflection and formal verification. The exhibition and catalog have been developed by a working group comprising Francesca Balena Arista (Politecnico di Milano) who has deepened the collaboration of Sottsass with Poltronova, Elisa Boeri (Politecnico di Milano) who analyzed some of the 1950s architecture projects Giampiero Bosoni (Politecnico di Milano) who studied interior and object design, Federico Bucci (Politecnico di Milano) who studied the relationship with American culture, Milco Carboni (Nuova Accademia di Belle Arti di Milano, Accademia di Belle Arti Mario Sironi – Sassari), who has dealt with the relationship with Poltronova, Giulia Daolio (CSAC University of Parma), who analyzed his collaboration with “lambello” and participation in the Littoriali, Chiara Fauda Pichet (Politecnico di Milan) who has deepened some interior and jewelery designs, Chiara Lecce (Politecnico di Milano) who studied the design of objects, Elisabetta Modena (CSAC University of Parma) who studied Sottsass’s participation at the Triennals of Milan, Emanuele Piccardo (architectural historian) who investigated Sottsass’s encounter with beat and radical culture, Simona Riva (CSAC University of Parma) who has been dealing with ceramics of the 1960s and 1970s, Marco Scotti (CSAC University of Parma) who has rebuilt some exhibition projects, Marta Sironi (CSAC University of Parma) who has dealt with the graphic editorial project of the 40s, Marcella Turchetti (Associazione Archivio Storico Olivetti), whose research involved the long collaboration with the historical brand of Ivrea, Marina Vignozzi Paszkowski (Bitossi Industrial Archive – Vittoriano Bitossi Foundation) that has highlighted the relationship with Bitossi Ceramiche from the 50s, and Francesca Zanella (CSAC University of Parma) who analyzed the role of the archive and the relationship between project and visual research. The exhibition’s graphics and display have been designed by Daniele Ledda (xycomm) and Elisabetta Terragni (Studio Terragni Architetti).